For those of you who are not as connected to the DJ world as others, there was an incredibly influential musician in the scene named Nicholas “DJ Pumpkin” Alvarado who passed tragically due to injuries sustained from a car crash in March of this year. His death hit the electronic world heavily, leaving a hole in his space where some incredible music had been free flowing. What comes of it is a mass of DJs and producers around the world creating even more music in his honor. DeFunk is one of those artists. 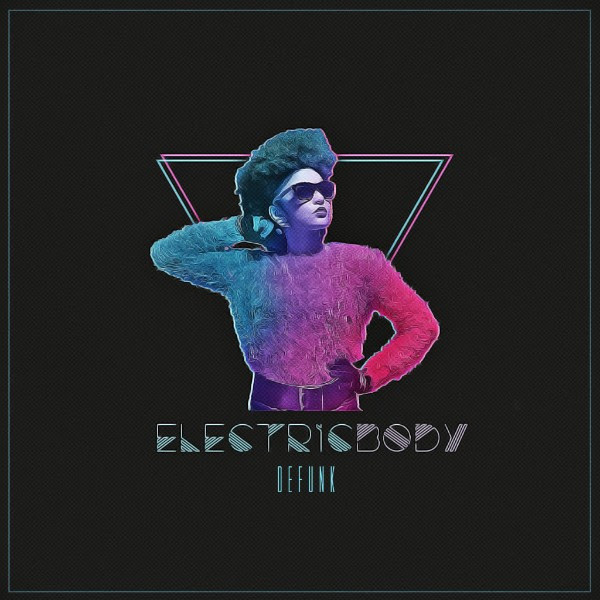 His upcoming work Stepping Out II – while majorly influenced by DeFunk and created, in part, to honor the tragedies throughout the music scene in 2016 – has rolled out its first single, a track called “Electric Body”. Full of earth shattering bass and a dark, heavy sound, the song is a perfect blend of rock and hip hop that will tantalized the eardrums of people who find joy in a myriad of genres. In fact, there’s a pop aspect that makes the song catchy as hell, and we’re holding onto it for dear life as we head into the weekend. The album will be released on physical copies as well, all thanks to the indiegogo campaign DeFunk launched in support of the production of it. DeFunk hopes to raise enough money, not only to fund his project itself but, to purchase instruments for his live performance aspects, invest in stage production, and to benefit The Giant Little Acorn Foundation, a charity that helps kids pursue the passion of music. All those who donate to the cause have the option of nabbing a preorder of the full release. Participate in DeFunk’s indiegogo campaign – and nab your copy of the album – here.